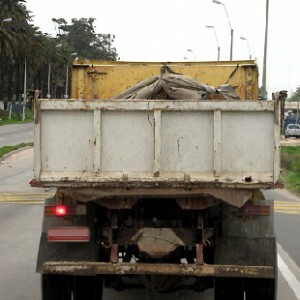 It is typically bulky, heavy, and takes up large volumes of space both in your trucks and in our landfills. Fortunately, the technology of recycling and reuse of concrete, masonry, asphalt and similar materials has brought us a wide variety of options for disposing of concrete. Concrete disposal can end up as crushed recycled concrete which can also be used as the dry aggregate for brand new concrete if it is free of contaminants. The California Department of transportation (Caltrans) allows the use of recycled concrete aggregate, or RCA, for specific applications. In addition, the City of San Francisco has approved the use of RCA as aggregate concrete in curbs, gutter, sidewalk, and street base.